6 - Wrist Rest 25 - Jel inside Synthetic Leather "Jel-LeatherRite"
All the Advantages of our Dual system but with only a single mouse platform. Keyboard platform and palm support with Swivel out Mouse Platform that is ideal for all users. 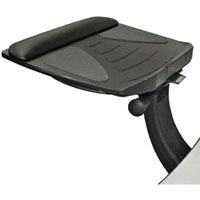 This system features our Advantage Single platform with right hand swivel out mouse surface combined with our Pinnacle 2 Value arm. 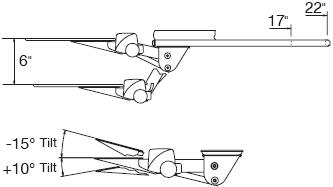 The efficient design of the mouse platform reduces the incidence of lifting and repositioning the mouse, a factor in repetitive stress injuries. 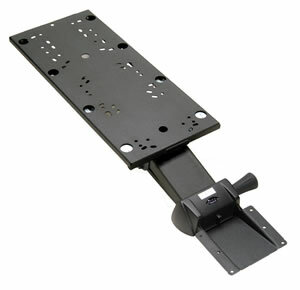 Adjustability: The Pinnacle 2 adjustable keyboard arm is easy to use and features no knob, no-lever height adjustment. The Dual adjustable lift-assist springs provide optimal balance and smooth movement. Adaptable: The ¼" Ultra-Thin phenolic platform minimizes the distance between the forearm and thigh, providing a greater range of ergonomic fit. The Advantage single keyboard platform also features the Optimizer with built-in document holder and cord manager. Functional: The Advantage - Single System is adaptable to fit virtually all workstation shape and size requirements. Durability: The Advantage - Single System meets or exceeds the ANSI/BIFMA standards for performance, durability, and cycle testing, and is backed by Workrite’s Limited Lifetime Warranty. 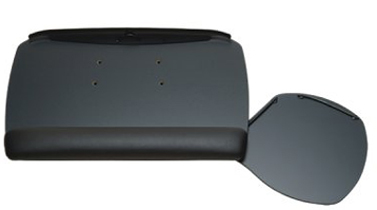 Mouse Forward: The Advantage Platforms feature a Mouse-Forward design, for easy movement within the primary reach zone. Neutral wrist position is the key to comfort: All palm supports are upholstered with LeatheRite, providing the feel of soft glove leather and the durability of synthetic fiber. Its hypoallergenic, breathable micro porous structure dissipates heat in warm weather and retains it in cold weather. For superior palm support and comfort, choose our JelRite palm supports with a thermal reactive memory foam that minimizes pressure against the palm. 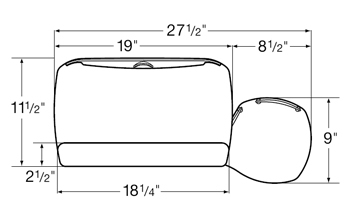 Thoughtful Features: On all platforms, our palm supports are easily removable to meet the user’s unique requirements. All Ultra-Thin platforms have the Optimizer, an integrated keyboard cord management feature, along with a built-in document holder and mouse cord retainer. Ultra Thin : 1/4" Phenolic platform is very light and extremely tough, it doesn`t break and it doesn`t change color. All Ultra-Thin platforms have the Optimizer, and integrated keyboard cord management feature, along with a built-in document holder and mouse cord retainer. Jel inside Synthetic Leather "Jel-LetherRite"
WorkRite 128 Wrist Rest: Palm support for use with existing keyboard trays and roll-out keyboard drawers. 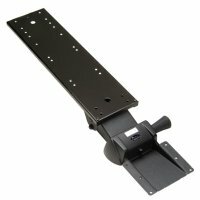 For use with roll-out keyboard drawers and other applications. 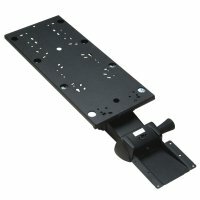 Swivel Plate 2179-SP: The swivel plate allows you to swivel your keyboard tray horizontally independent from the arm. Used to attach adjustable arm tracks when edge is thicker than worksurface. 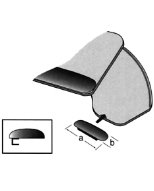 a = 16" or 21"
b = 11 - 3/4"
a = 26" ... b = 15" ... c = 1 1/2"
I just placed the order. Please stop emailing me.